The sleek, modern building that houses Regus Blanchardstown is handily placed at the entrance to Blanchardstown Corporate Park, a 100-acre office campus that’s home to more than 150 companies, including Maersk, Nike, Puma and Guidewire Software. So it’s safe to say that networking opportunities are unlikely to be in short supply. The light-filled space, on the ground and first floor, offers a variety of options, whether you’re looking for private or co-working space to rent, a virtual office, or a meeting room to hire. Secure underground parking is an added bonus, and the park’s amenities include a restaurant, crèche and supermarket. 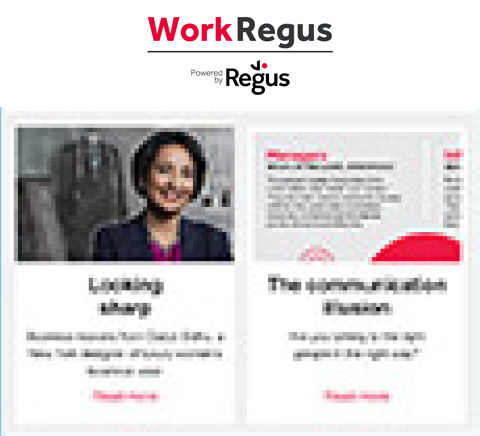 One of the most sought after new workspace hubs in Poland is to be found at Regus Warsaw Grojecka 208. This high-quality office space in the west of the city lets you rent offices by the hour as well as conference and training rooms. Other businesses to be found in this imposing block include a film distributor, a fitness centre and a retail outlet. The centre of Warsaw and the airport are both within easy reach from the train station around the corner. If you’re looking to wind down, the attractive Szczęśliwice Park is just a short walk away. Note to winter sports enthusiasts: the park has an all-year-round artificial ski slope. Dandenong is one of Melbourne’s main business districts outside the CBD, and visitors can now take advantage of Regus Dandenong. Whether you’re looking for open-plan co-working spaces, comfortable private offices, impressive conference facilities or light-filled meeting rooms, you’ll find them all here. There’s also a café and seating area on the ground floor. The bus and train stations are both less than a ten-minute walk away, and local attractions include the cafés and shops of Little India, and the Heritage Hill and Patricia Loop museums. The business landscape in Monroe is dominated by telecoms giant CenturyLink. Its corporate campus sits close to Black Bayou Lake in the north of the city, and nearby you’ll also find Regus Monroe. This is the city’s premier technology hub, home to a dynamic mix of notable companies, so there are plenty of exciting opportunities to build relationships. The Wi-Fi-enabled business lounge and tech-powered meeting rooms are also within walking distance of a state-of-the-art fitness facility, parks, shops and restaurants. Since you’re in Louisiana, Cajun food should definitely be on the menu, and Monroe affords plenty of opportunities to try it. Fine Italian design is very much to the fore at Regus Ferrucci, which was originally created by architects Ludovico Quaroni and Vincenzo Passarelli to be the HQ for Fiat Engineering. Each workstation, private office and meeting room has been decorated with impeccable taste, blending top-of-the-range tech with stylish seating and contemporary lighting. There are bus and tram stops nearby, offering easy access to all parts of the city. And top-quality restaurants abound in a city famous for its Piedmont cuisine. You won’t quickly forget the first time you set foot inside Regus Foundershill. This 108-year-old provincial South African building is steeped in history, from the stain-glassed windows in the main conference room, to the antique bureau bar in the business lounge and the high wooden beams that crisscross the co-working offices. But functionality is also to the fore, with high-speed Wi-Fi available in the private offices, shared working areas and meeting rooms. For a starkly contrasting pair of nearby attractions, visit the Dynamite Company and Peacemakers museums. The surrounding Founders Hill area is ideal for taking a break. Rub shoulders with the blue chips at Regus Gatwick Airport Manor Royal. The surrounding Manor Royal business district is home to more than 600 top-notch businesses, including Virgin Atlantic, HSBC and Deloitte. 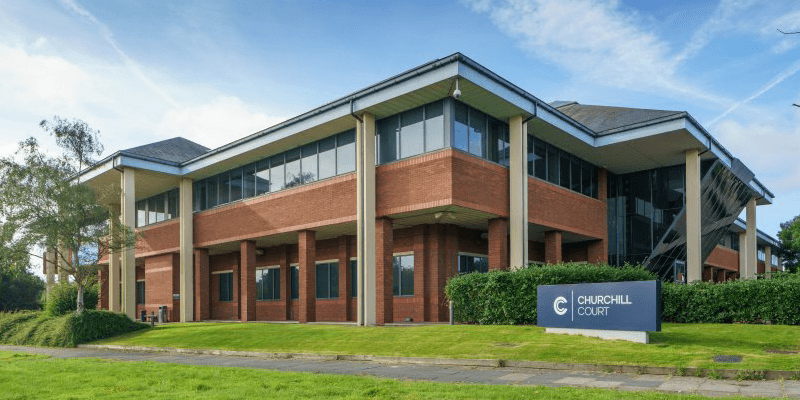 This well-lit, two-storey building boasts serviced offices, co-working space and meeting rooms, and has excellent transport connections by bus, rail and car. The location is well served by shops and restaurants, including those in the County Oak Retail Park, and for downtime attractions you’re spoilt for choice between the Old Gatwick Air Terminal Museum, Gatwick Aviation Museum or Crawley Museum, all just a few minutes away. Essen is an industrious city at the heart of German manufacturing and business, and Regus Grugaplatz makes you a part of it. This modern, refurbished business centre in the busy Rüttenscheid district gives you access to office space, meeting rooms and hot desks, together with high-speed Wi-Fi, comfortable seating and immaculate furnishings. There’s also 24-hour on-site parking and nearby access to public transport links. On your lunch break, absorb some of Essen’s cultural and industrial past at the Museum of Art UG. For food options, the centre is within easy reach of a high street lined with shops and restaurants. A striking black glass façade greets visitors to the Regus Avenida de los Pinos in the heart of this vibrant, commercial city. Inside you’ll discover a range of rental offices, meeting rooms and co-working areas, all equipped with high-speed Wi-Fi. Outside you’ll find yourself surrounded by green spaces, such as the Fofó Park. On-site parking spaces are available, and there are three bus stops nearby. Murcia is one of Spain’s most prominent gastronomic destinations, so try to find time for some local delicacies, such as pastel de carne, the Murcian take on a meat pie. Regus Tiel is located on the second floor of a shiny silver building in Westroijen business park, and is easily accessible from the A15 highway. Natural light floods through the large windows into modern, fully-equipped designer spaces. Everything you need is here, whether you’re looking for private, co-working or virtual offices or to hire a meeting room in Tiel. 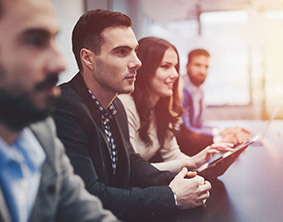 Plug into the fast, reliable Wi-Fi connection and into the energy of a buzzing community of like-minded professionals. Be inspired by Tiel’s long history at the Flipje & Streekmuseum, with its fascinating interactive exhibits.